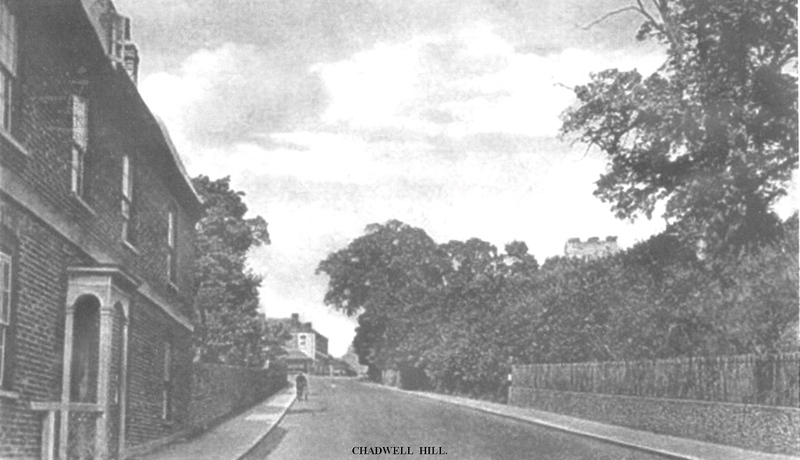 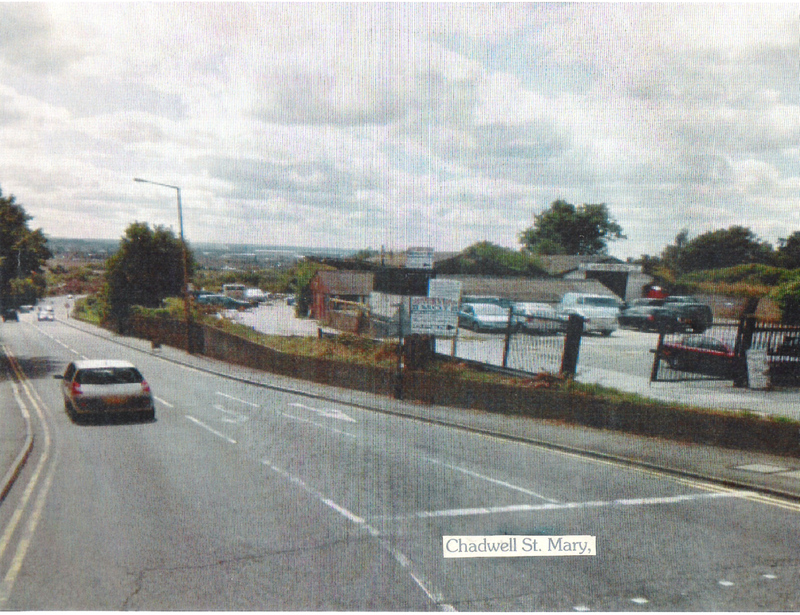 The old Chadwell Hill in Chadwell St Mary, was only a narrow lane in the 1930s. 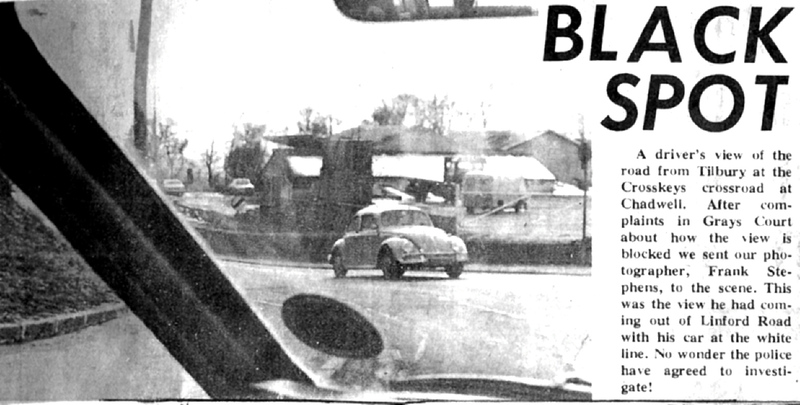 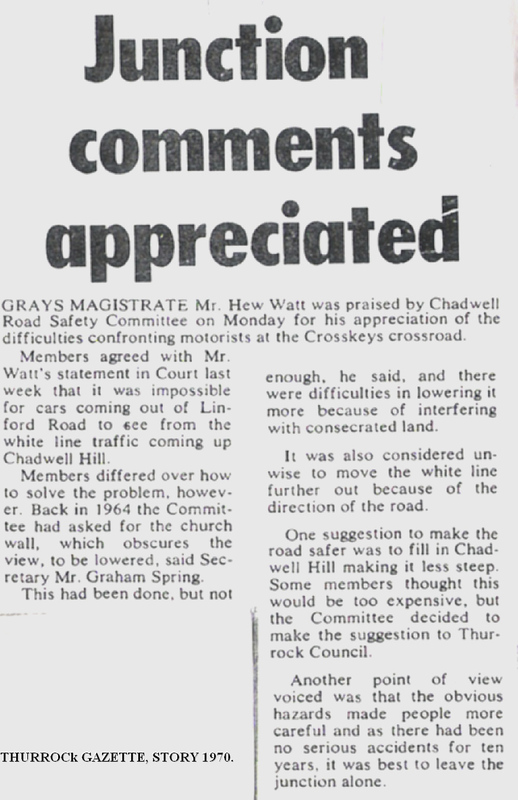 And when motor-vehicles came about the roads were widened through the Thurrock Council. 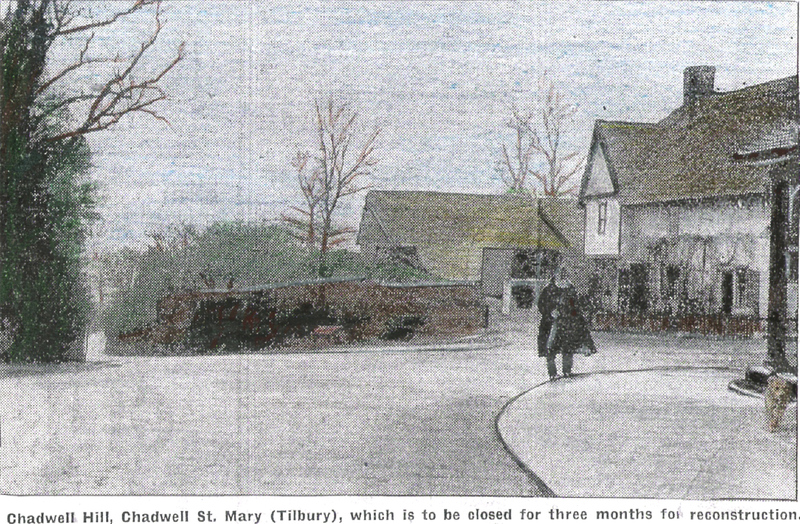 This was in 1935 and took about 3 months. 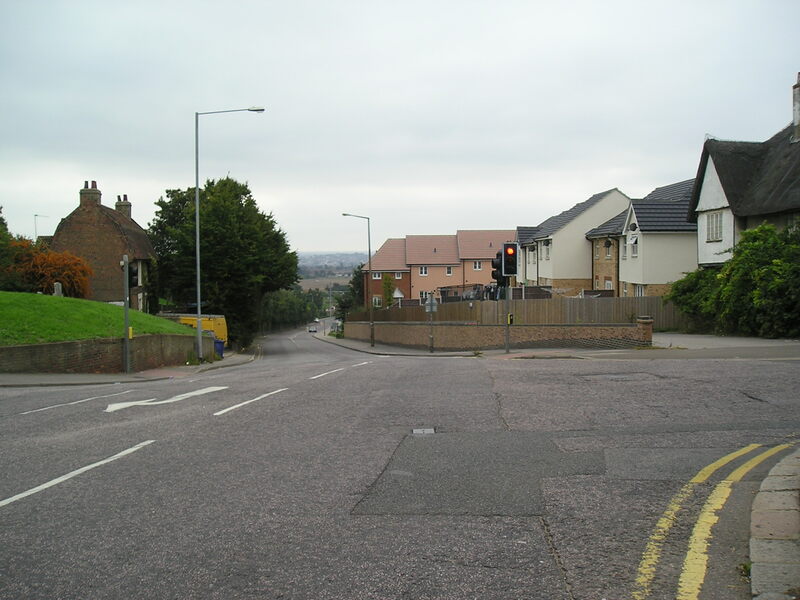 Also Linford Road was included and many more in Thurrock. Here we have some images – before, the widening itself, and when it was finished. 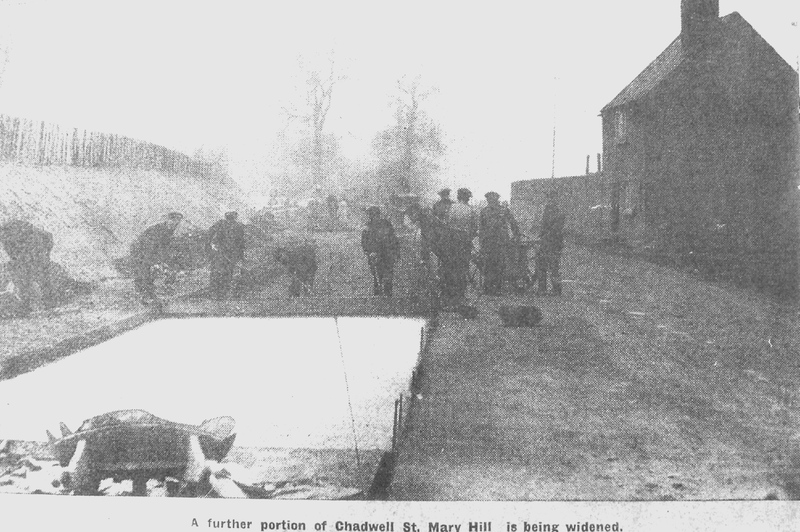 The view from the 1940s shows the now demolished Chadwell Hall on the left. This had been the manor house for the manor of Chadwell. 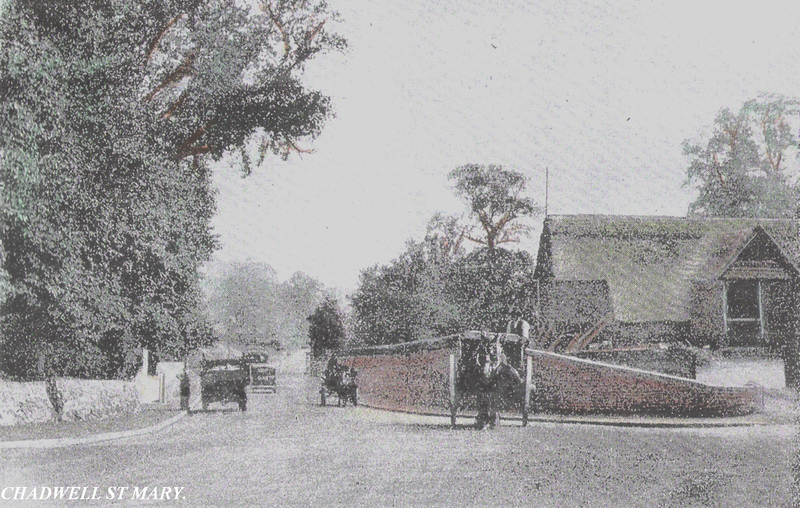 In later years the top of Chadwell Hill became more dangerous to traffic appraoching the junction from the Linford Road, as the church wall was too high and drivers had a problem to see other traffic. 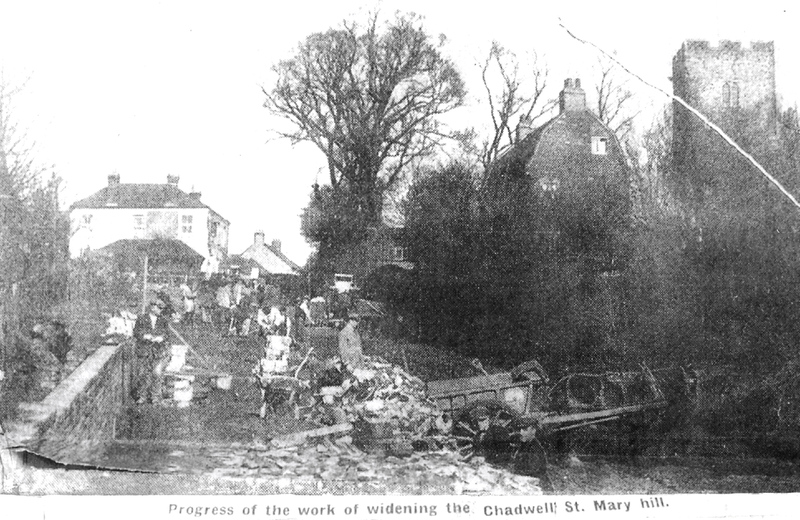 The junction was changed again with a lower wall, and widening, at the top of the hill with Chadwell St Marys Church consecrated land being given up to make way to be widened once again. In 2012, the pavement was widened as part of the construction of the houses and flats in St Stephen’s Crescent.